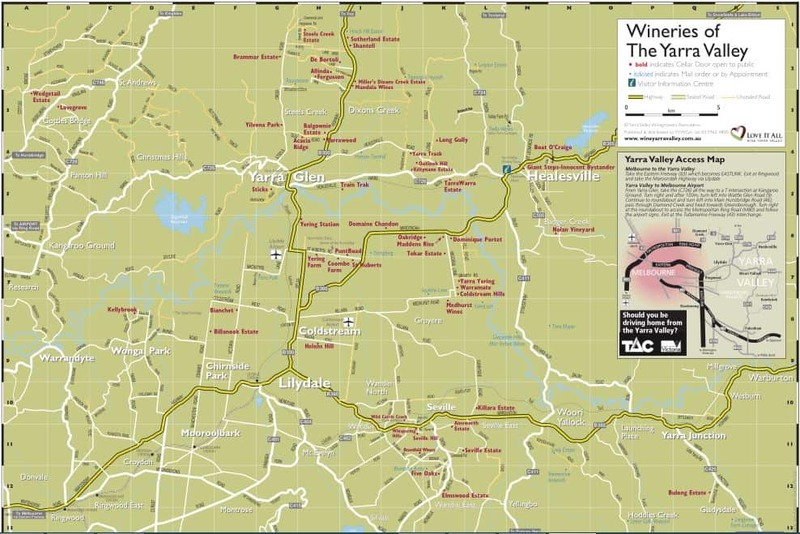 Wineries are part of life in Yarra Valley, and for visitors in the area, getting a Yarra Valley Wineries Map is one of the best things to do on tour. Renowned for its high number of grape producing wineries, the Yarra Valley is recognised as one of finest wine regions in Australia. 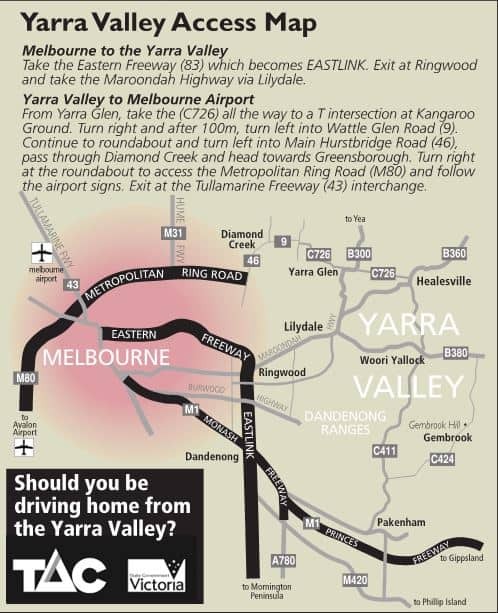 The Yarra Valley Wine region is located just 1 hour east of Melbourne. 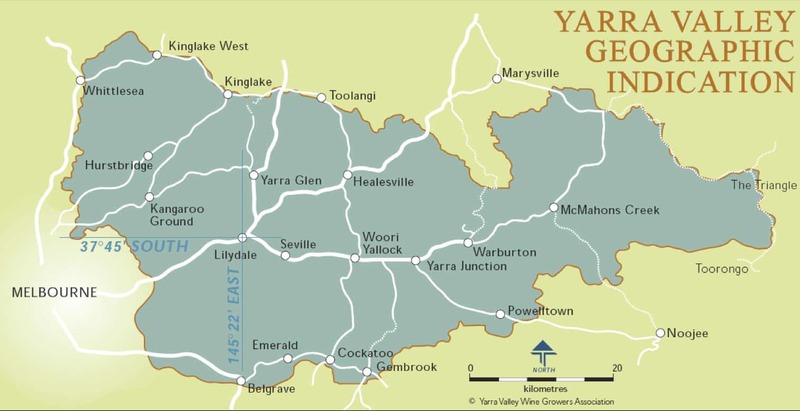 The Yarra Valley has a cool climate and is best known for producing Chardonnay, sparkling wine and Pinot Noir. 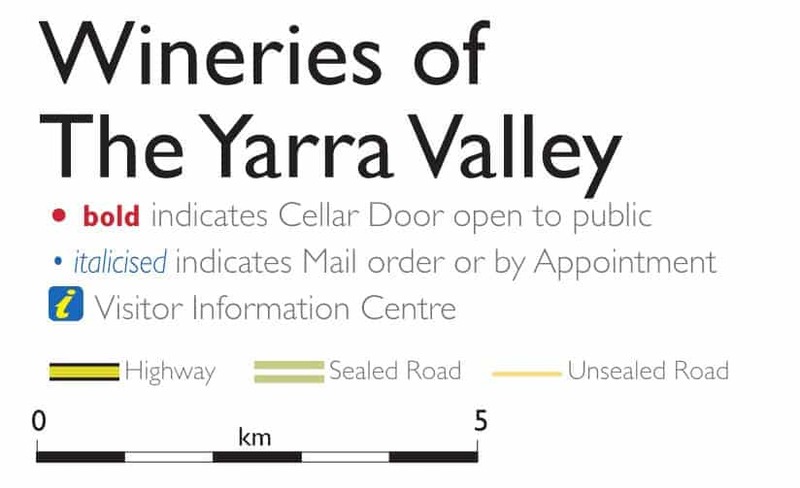 There are over 40 wineries within the Yarra Valley region, with most open for cellar door tastings. There are plenty of wine tour operators that will take visitors door to door where many of these renowned wines can be sampled and purchased. Many of the wineries also have onsite restaurants, where you can match local produce or food dishes with the quality house wines. Wine tours to the Yarra Valley rank as one of the most popular day trips from Melbourne, alternatively many people also hire a car and take a self driving tour. Either way, visitors to the Yarra Valley will get an opportunity to see the gorgeous scenic views of the region including the mountain ranges and beautiful vineyards. 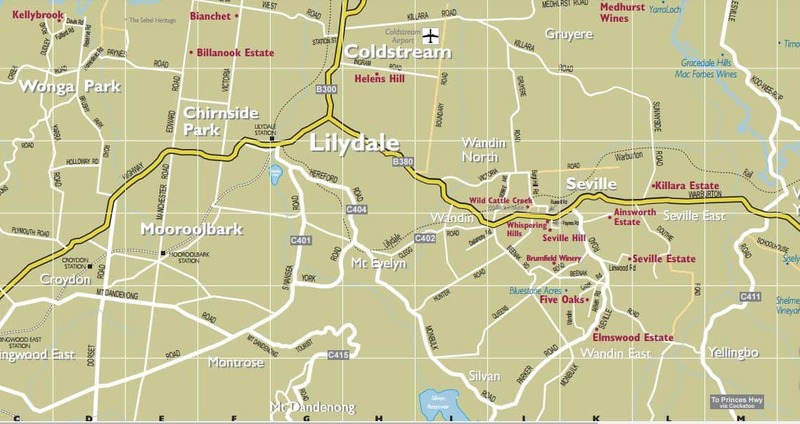 Check out the map below for a list of all the wineries in the region. 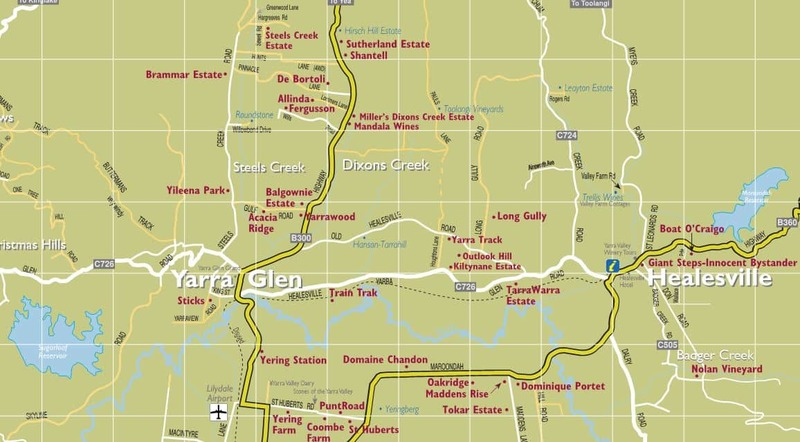 If you are looking for accommodation in the Yarra Valley, click our link below for the best deals. Hi there, do you have a bus service or taxi service? if so where can I find out more information on this. i’m considering visiting in time for the shed fest next month and hoping that there is transport option available to get between vineyards. Alternatively, you can use the local taxi service which can be contacted on (03) 5962 4722.